The lackluster 2010 summer season has ended. It had its moments with movies like Inception and Toy Story 3, but overall this summer has been sort of a bland disappointment. So, it’s a good thing we get to look forward to the fall, and the cinematic offerings that are just around the corner. We don’t have enough room in the paper to cover every single fall release, but we’ll talk about the most interesting, and most anticipated films. Some of them are films I’d like to champion so people end up seeing them. Either way you’re going to get a list of some great films to look forward to. The Town – After his directing success with Gone Baby Gone, Ben Affleck is heading back behind the camera and directing The Town, which is also set in Boston. This time though, Affleck has stuck himself in a starring role. I have mixed feelings about this one. The trailers make it look like a gritty crime drama, but with all the machine guns and plans to rob armored cars, the whole thing feels strangely like a remake of Heat. Devil – M. Night Shyamalan went bust with The Last Airbender, which was just horrible. Maybe his directing days are behind him. Looking back on his full body of work, he’s still a very talented storyteller. Even though Shyamalan isn’t directing Devil (the Dowdle brothers are) he’s writing the story. This seems like a story that could benefit from Shyamalan’s writing. Devil is about five people who find themselves trapped in a broken elevator, and one of them is The Devil himself. Who is it? That’s the question. Catfish – I saw Catfish at Sundance and had to scoop my jaw up off the floor when I walked out of it. 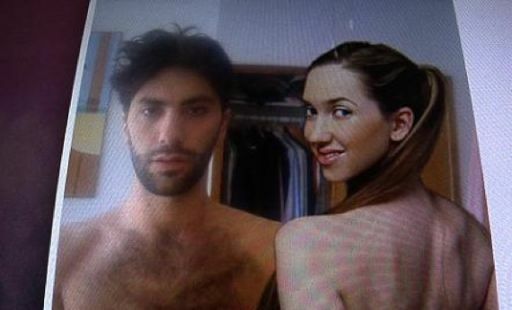 Catfish is a movie that I hope everyone sees. It’s getting a limited release, but we might be able to catch it at the local art cinema. It’s a documentary about social networking gone awry. Saying anything else would spoil the movie. It just needs to be seen to be believed. Wow! Buried – Another Sundance film. This one finds Ryan Reynolds buried in a coffin. He’s a contractor working in Iraq, and he’s been buried alive as a hostage so his kidnappers can ransom the company he’s working for. The entire film is in the coffin, that’s what’s so amazing about it. A movie, on a gigantic screen that makes you feel claustrophobic is an experience you’ll never have again at the theater. Reynolds makes the film completely compelling, as he’s the only one ever on screen. This really is a fantastic movie. The Social Network – Directed by David Fincher and written by Aaron Sorkin. If those names weren’t attached, I don’t think anyone would be going crazy about a movie that depicts the rise of Facebook and the controversy that surrounded its founders. I really don’t know which way I’m leaning on this movie. Fincher is a fantastic director and Sorkin knows his way around a compelling script, but it’s about Facebook. Really, how exciting can that be? Hereafter – Clint Eastwood is one of the best directors to have ever lived. Period. He continues to make movies at a break-neck pace, without any sign that he’s slowing down. Hereafter has him taking on the supernatural thriller genre. I’m to the point where I believe Eastwood could take any genre and make a near masterpiece. With Matt Damon as the lead, “Hereafter” already has Oscar buzz circling around it. Monsters – Creature features seem to be making a comeback in Hollywood as of late. Monsters looks a little bit like District 9 with its herky-jerky camera style, and its grittiness. We don’t know much about this film, other than creatures possibly from another planet are about to wreak some nasty havoc on our civilization. After hearing that you know whether you’re in or out already. Either this is your type of movie or it’s not. Due Date – So many serious movies, it’s good to see what looks to be a great comedy coming out. Starring Robert Downey Jr. and Zach Galifianakis, Due Date two men across the country with Downey trying to make it to the birth of his son on time. Even though road trip movies all have the same clichés (you know, the characters are at odds at first and then after life lessons become best friends) this one looks really funny. Downey and Galifianakis are the two reasons to be interested in this movie. The trailer makes me laugh every time I watch it. Harry Potter and the Deathly Hallows: Part 1 – Possibly the most anticipated movie of the fall. The second to last installment of the Harry Potter franchise is sure to be a box office smash. The movies are getting darker and the kids getting older. I’m really looking forward to this film and its more adult feel. Hopefully we’re past all the lovey-dovey, hormonal teenage angst that was the feature of the last film. Let’s get back to what Harry Potter does best: magic. At least that’s what I’m hoping. Tangled – Even though Disney started its hand-drawn animation department back up with the recent release of Princess and the Frog, they’re not giving up on their CG department (the same one that produced the hilarious Bolt). 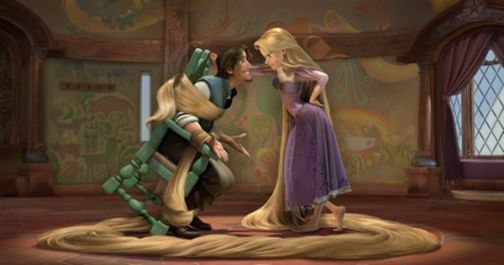 Yes Disney does CG pictures without the help of Pixar, and Tangled is one of those. Tangled is a retelling of the Rapunzel fairytale with a Disney twist. It looks lively, fun, and the animation looks rich and lush. This is sure to be a hit with the whole family. The Chronicles of Narnia: The Voyage of the Dawn Treader – Yes, they’re still making the Narnia films. Personally, I haven’t been a fan of the films, but since they’re on their third one there’s a fan base out there. TRON: Legacy – Besides the new Potter film, TRON: Legacy is at the top of most fall anticipation lists. It promises to head full steam into the world of TRON again, this time with updated, slick looking CG that will really give the franchise a fantastic face-lift. Boy am I excited for this film. Geeks everywhere are drooling because of the nostalgia overload alone. This will be an exciting and worthwhile trip to the movies. True Grit – Rounding out the year is True Grit. Yes that title does sound very familiar. The original starred John Wayne as Rooster Cogburn. It’s a masterpiece as far as film is considered and pretty much the pinnacle of the western genre. The Coen brothers are remaking it. If it were anyone else I would be up in arms about it, but the Coens have a way of adding their own style to a story to make it unique. Cogburn, this time around, will be played by Jeff Bridges. He’ll be joined by the likes of Josh Brolin and Matt Damon. This star-studded cast, along with the historical storyline is sure to pack theaters, and bring home the Oscars come awards time. There you have it. There’s a ton of films coming out this fall, and this is just a sample of the ones you should keep a look out for. Here’s hoping you all have an exciting time at the movies this fall.